To Conquer Pride immediately caught my attention because it starts with one of my favorite scenarios in Pride and Prejudice Variations: Mr. Darcy and Elizabeth stranded in a cottage. But as the story progresses we will follow these characters through the streets and theaters of London, the living rooms of Netherfield and even the gardens of Pemberley. 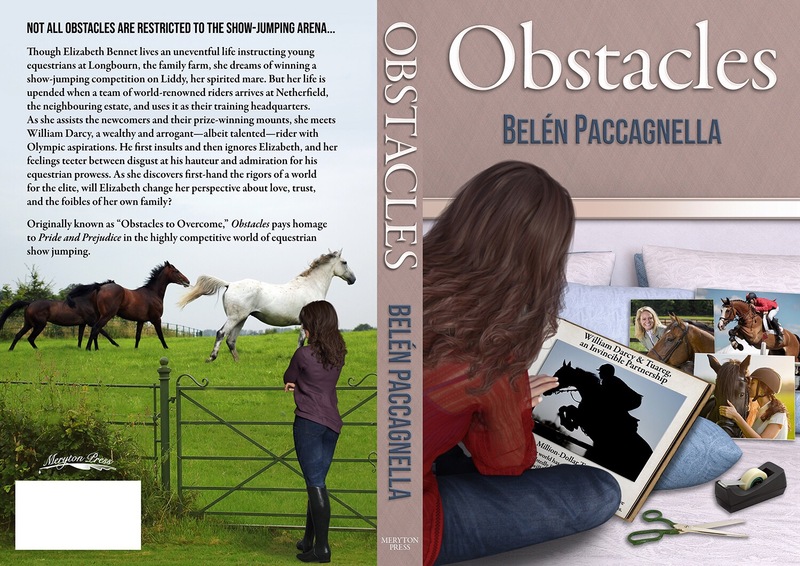 As you can see this book is one of those that have it all, and the best part is that the story and the events are not rushed which shows us that Ms Altman took a lot of care in the writing of her debut novel. Apart from all those scenarios that we can find in the book, and that make it very diverse and appealing, we have above all a lot of Darcy and Elizabeth moments. Propriety is always followed, or…almost always followed, but the point is that there are few pages in the book that do not have these characters interacting with one another, and if you are like me, I’m sure you consider this one of the best ingredients in a JAFF story. I really liked the main characters, especially Darcy in all his facets, protective, honest, jealous, proud and even fragile and hurt. His character is certain to appeal to all readers because once more Ms Altman made sure that his feelings and reactions were diverse. The story takes place in the period of one year or a little more, so we have time to see these characters grow and change without feeling that this was forced upon them. I also enjoyed what the author did with Mary Bennet. She is my favorite sister and I always enjoy to read a little more about her. I believe that her character was developed with taste and at a certain point I believed she would have more relevance in the story, but unfortunately that did not occur, and when Georgiana became sick it even appeared she was completely forgotten, which was probably my only quibble with this book. To Conquer Pride is a well written book that engages the reader in the first pages and keeps him invested in the story and characters until the end. It is filled with romance, a small dose of angst and even a little mystery to keep the reader wondering what may come in the next chapter. Its pace is balanced and it is a very agreeable book to read, therefore I highly recommend it to all Janeites. It is not very common for an authors first book to be this good and to have as much quality as I’ve found in To Conquer Pride, if this is Ms Altman debut book I cannot wait to see what she will present us with next! The large room was empty save three people, but Darcy only had eyes for the one who stood directly before him, a crisp white apron covering her sprigged-muslin gown. A smile brightened Elizabeth’s features and her eyes sparkled with barely suppressed mirth. Behind him, Darcy could hear his sister’s throaty giggle. Darcy stepped farther into the room, his questioning eyes darting to Mrs. Reynolds, who stood slightly to one side, but she only smiled and walked over to take a seat on one of the chairs that surrounded a long wooden table at the back of the room. “Certainly, sir. I am going to instruct you on the proper preparation of a pie. Blackberry, to be exact,” she added, reaching for the basket of berries sitting on the nearby sideboard. Darcy’s eyebrows lifted and Elizabeth’s smile broadened. “I see,” he answered, causing Elizabeth to laugh with the exuberance of a girl half her age. Darcy blinked back at her, struggling to process the shift in the conversation. “You want me to… That is, I assumed this would be a demonstration of some sort…” he stammered, but at the look on Elizabeth’s face he reached out his hand, his fingers closing around the rough cloth. Elizabeth offered a wry smile, reaching for his discarded coat and moving to hang it on a rack in the corner. Suddenly, Darcy remembered the pages of the book, secreted away in his pocket. What would she say if she found them? Would she realize where they had come from? But Elizabeth was already crossing back to where he stood, causing Darcy to release his breath. Tying the apron strings, his gaze darted to the back of the room. Besides Mrs. Reynolds, one of the kitchen maids lingered near the entrance to the pantry, her eyes wide. Darcy rubbed his neck, glancing uneasily around the kitchen. Stepping over to where he stood, she reached across his body, her fingers brushing his wrist as she began picking through the basket of fruit. Her proximity made Darcy’s stomach tumble. Steadying his breathing, he forced himself to focus on what she was saying. “…and as you can see, some of these are not sufficiently ripe.” Elizabeth held up a pale blush-colored berry for his inspection. “Others have become slightly squashed in transport,” she continued, picking out another berry and showing it to him, before popping it into her mouth. Elizabeth gazed back at him seriously. “You may do as you wish, Mr. Darcy. However, it is important to taste the fruit; otherwise you will not know how much sugar to use. Here,” she added, plucking a fat purple berry from the basket. For a moment Darcy stilled, thinking she intended to place it into his mouth, but instead she simply held it out to him. When he did not react immediately, she took his hand, turning it over before placing the berry lightly in his palm. Darcy swallowed, lifting the fruit. “Well?” Elizabeth asked as Darcy chewed. Georgiana’s mouth dropped open and she stared back at her brother, her eyes as wide as saucers. Out of the corner of his vision, Darcy could see Elizabeth biting back a laugh. You can connect with Jennifer on Facebook or on Twitter. 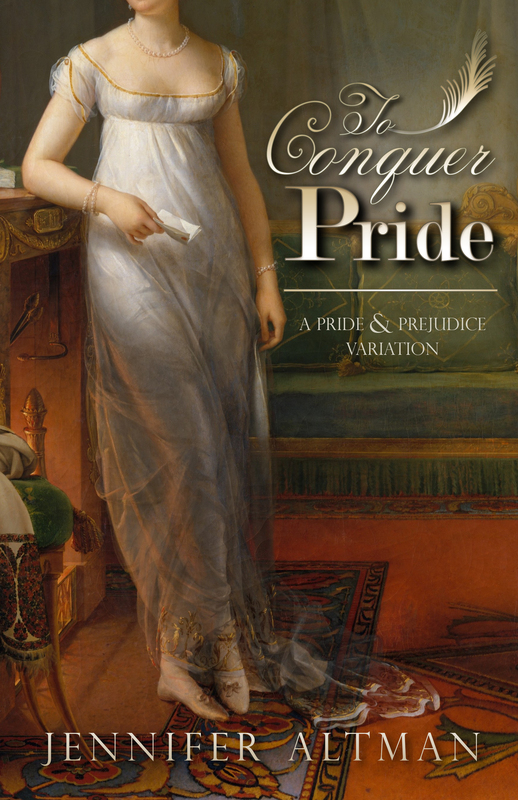 The Kindle edition of To Conquer Pride is currently available for purchase by clicking here. November 26th: More Agreeable Engaged – Author interview with Joana Starnes, book excerpt, giveaway. Jennifer Altman is giving away one copy of the Kindle edition of To Conquer Pride. In order to be entered to win all you need to do is comment below and let us know what you thought about my own remarks and/or the excerpt. The giveaway is international and is open until the 5th of December. The winner will be announced shortly after that date, so please make sure you stop by to see if you name was announced.